DJ SAMPLE releases something fresh for the street to Rock! 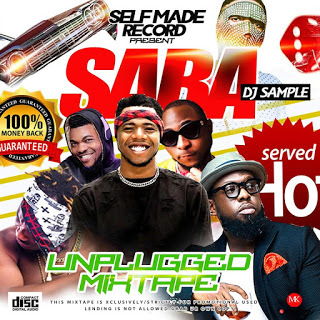 As usual, the young vibrant DJ did not disappoint his fans with this amazing mixtape loaded with the hottest Shaku Shaku songs currently rocking Naija.This mixtape is specially titled SABA from the recent song from one of the port harcourt fast rising Artist DANDIZZY. This is a one-in-town kind of mixtape. Check it out and Jam it everywhere you go.